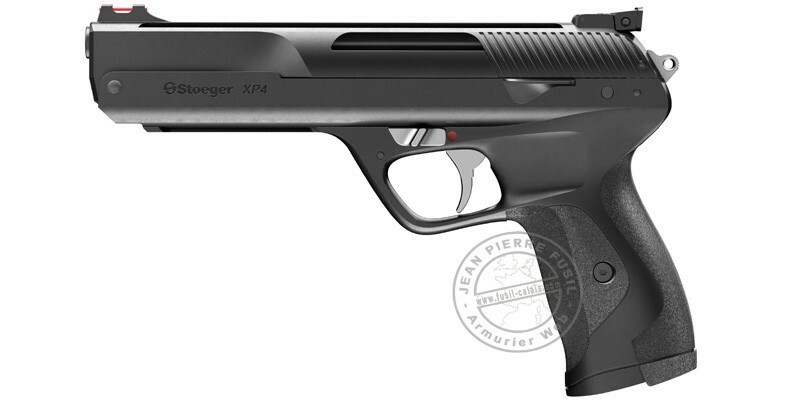 Stemming from the Beretta group expertise, the Soeger XP4 ari pistol is perfect for beginning or training at short distance shooting. It is equiped with the pre-compressed technology system, that allows precise shoots, recoiless. 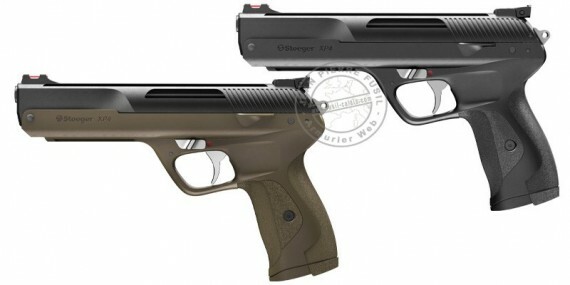 This pistol is available in black or bicolor black/green finish. One shot airpistol with the pre-compressed system, the XP4 shoots pellets in .177 caliber at a power of 3 Joule. Ideal for recreative shooting on targets, at 8-10 meters precision. Made with composite corrosion free and extremely resistant, the Xp4 is light and easily maneuverable. Hte mechanicals parts are made of steel. Its ergonomics is conceived for an easy ambidextrous handling. This XP4 pistol uses a pre-compressed one shot system : a compression cylinfer (piston), located in the barrel, replaces the traditional spring. Openig the slide, the pistion is being filled with air, that will be then compressed while closing. Pulling the trigger will liberate this ari, that will propel the pellet out of the barrel. This technology has the avantage of causing less vibration, and so a better stability while shooting. pas encore essayé! mais bonne prise en main..